Small table lamp 17" tall. Shade is 9" on the bottom and 3" on the top. 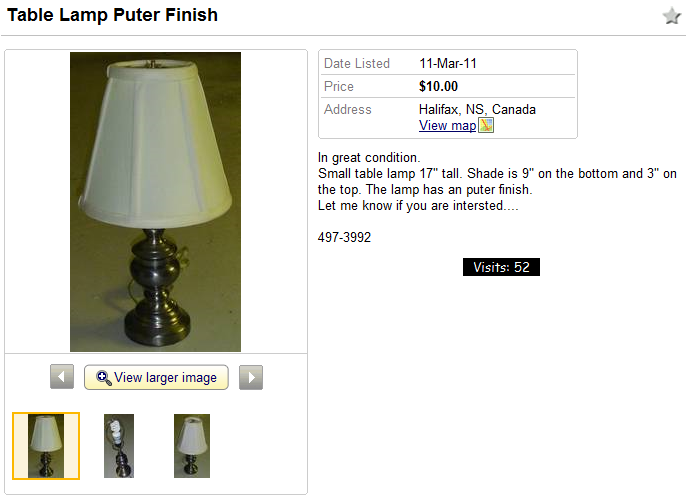 The lamp has an puter finish.